Everyone want to use shortcut keys, but the problem is they don’t know how and where to use this.. Every program have their shortcut keys, one of the is Microsoft Excel. As we know working in Excel is little difficult if we don’t know basic shortcut keys.. So today I will show shortcut key for inserting date and time in Microsoft Excel, this key will work all the version of MS Excel, like 2003, 2007, 2010, 2013 and may be in 2016…. 1. 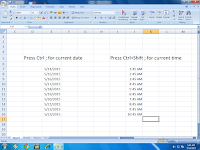 To insert date press (Ctrl ;) this will insert current date, after this you can change dates as per your need. 2. 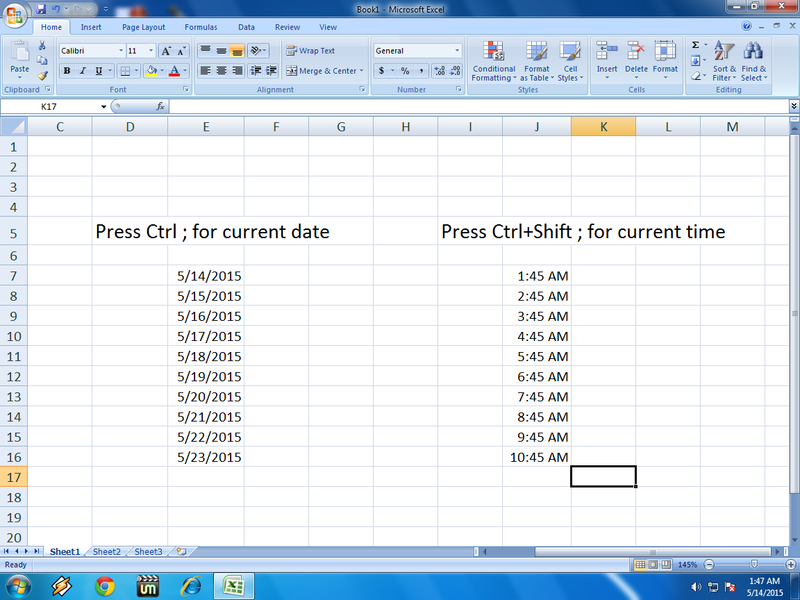 To insert time press (Ctrl+Shift ;) this will insert current time, after this you can change time as per your need.